If you've ever thrown a , you know it's never too early to start planning and prepping. And one of the most time-consuming tasks is finding that doesn't look completely cheesy and childish. While it may be hard to find, it definitely exists—you just have to know where to look. 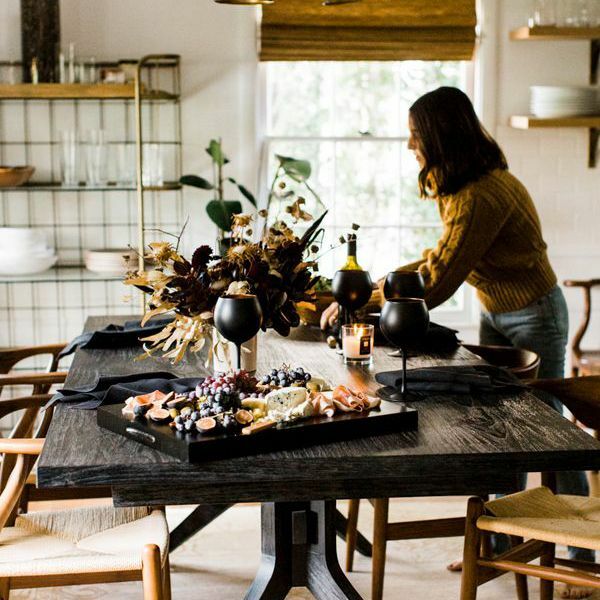 So we took it upon ourselves to dig up decorative objects, wall hangings, and spirited tableware along with styling tips for each that will give your Halloween soirée a sophisticated edge while still being on-theme. In fact, they're all cool enough to keep on display year-round, so you won't have to waste your money on any throwaway items (with a couple exceptions that were impossible to pass up). Consider our roundup of 22 Halloween your guide to throwing an . Take a look and add your favorites to your cart. This is not your average Halloween store. 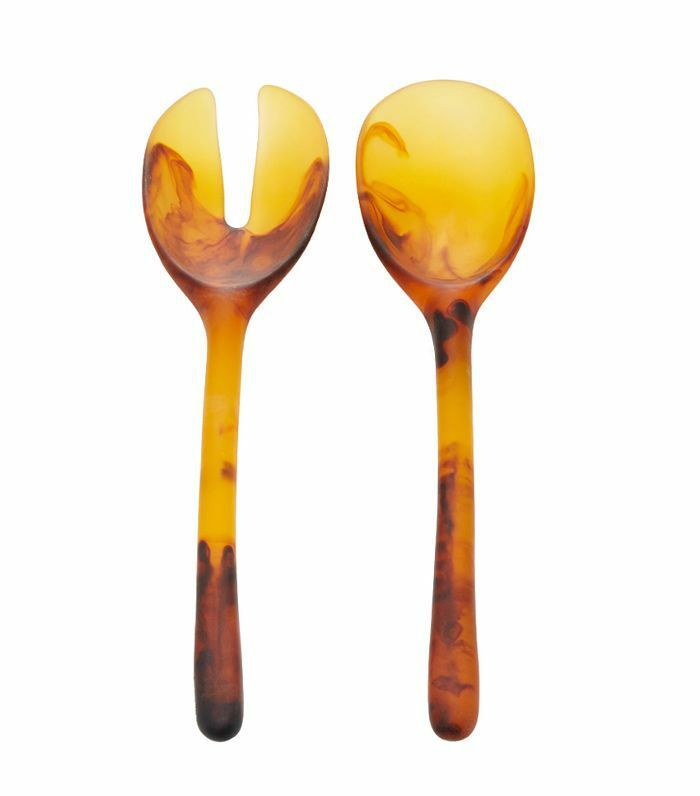 With marbled swirls of amber and yellow reminiscent of mysterious smoke, these servers are both alluring and stylish. Go to your local Halloween store and you'll find walls and walls of skull motif décor. But none of them will even come close to being as cool as this pearl embellished, matte black design. 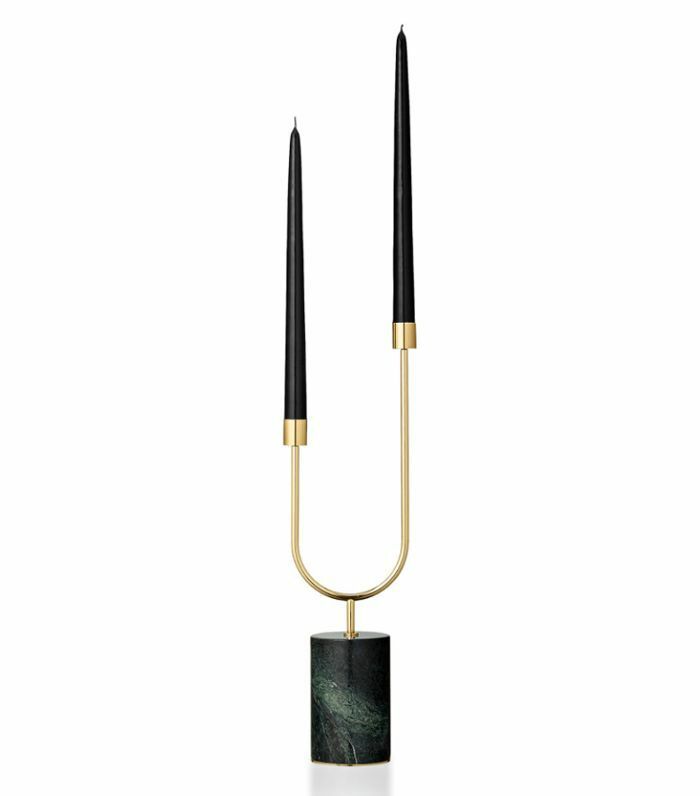 This candlestick holder will give your digs modern-day Addam's Family vibes. 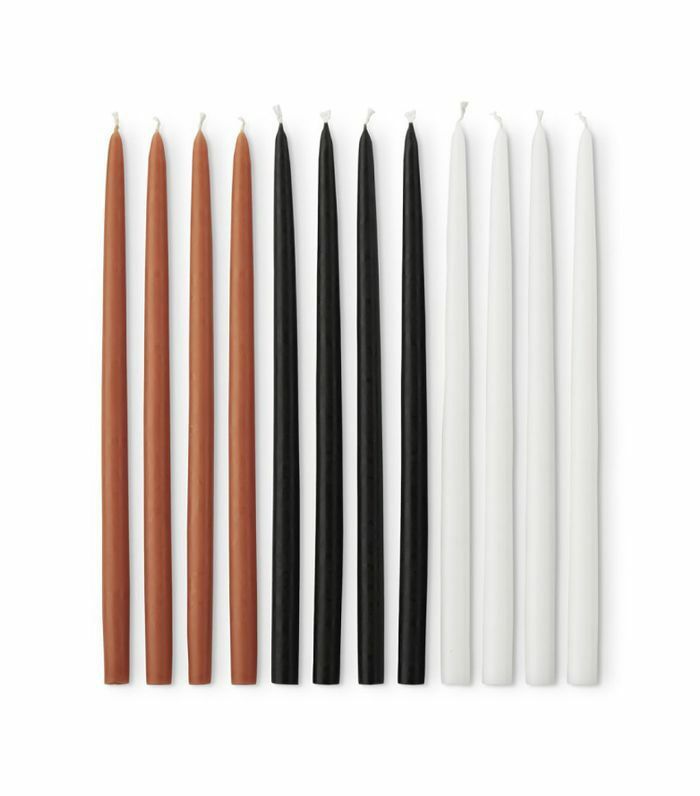 Opt for tapered black candlesticks for a gloomy and gothic yet distinctly posh vibe. 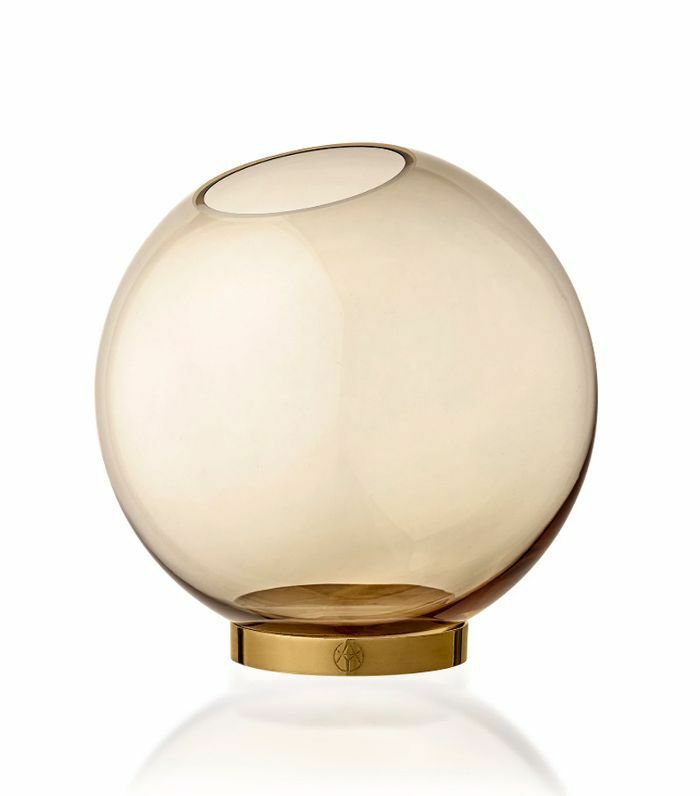 Channel a crystal ball with this amber glass orb vase. And then dress it up for the occasion with some moody roses. 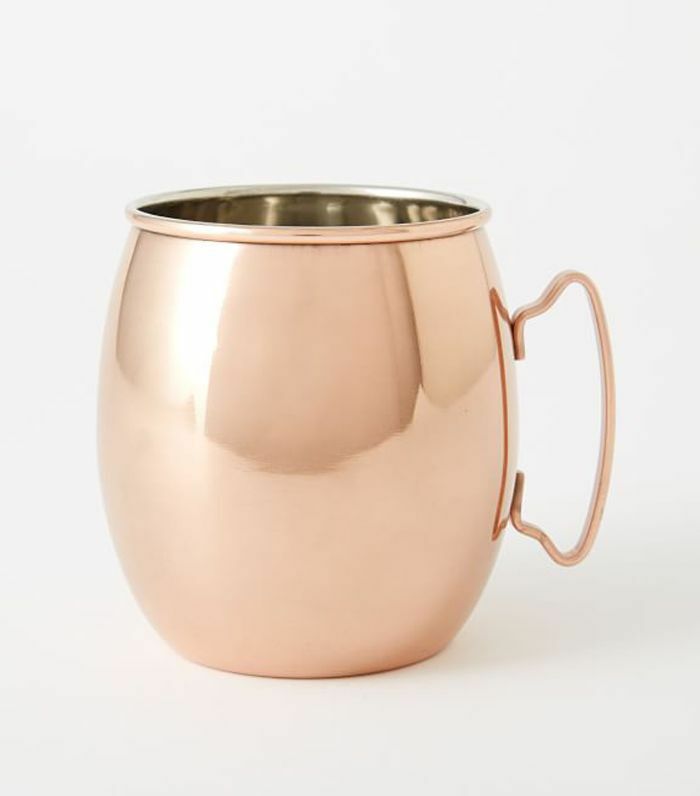 Serve your drinks in copper mugs to play up the orange and black color scheme in a more subtle, timeless way. 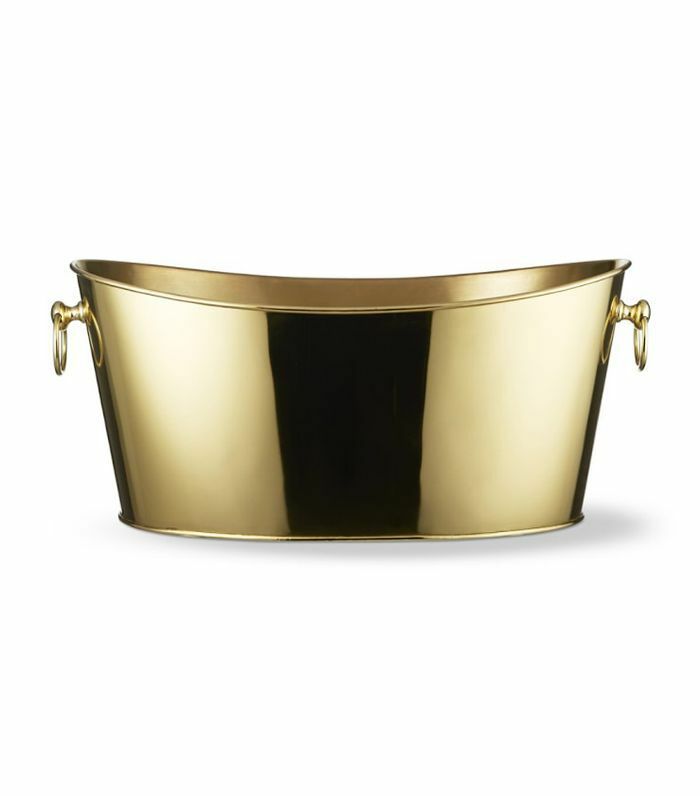 If you plan on setting up an apple bobbing station, use a polished gold drink tub like this one. 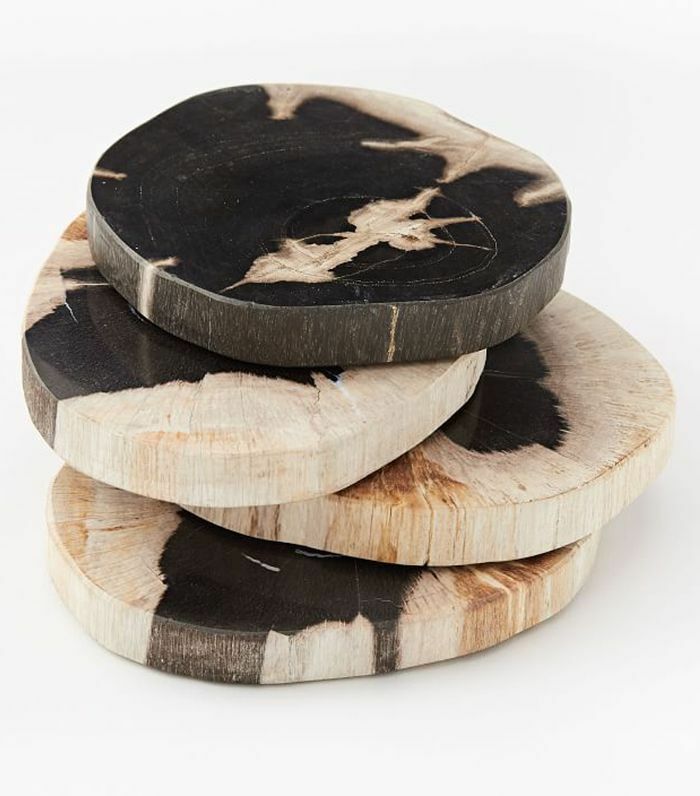 Like something out of a haunted forest, these brooding petrified wood coasters will lend themselves nicely to a Halloween dinner party. Dim the lights and opt for candlelight only. The darkness is sure to inspire plenty of scary story telling. Have we mentioned the fact that black is the perfect (and easy solution) to Halloween party décor? 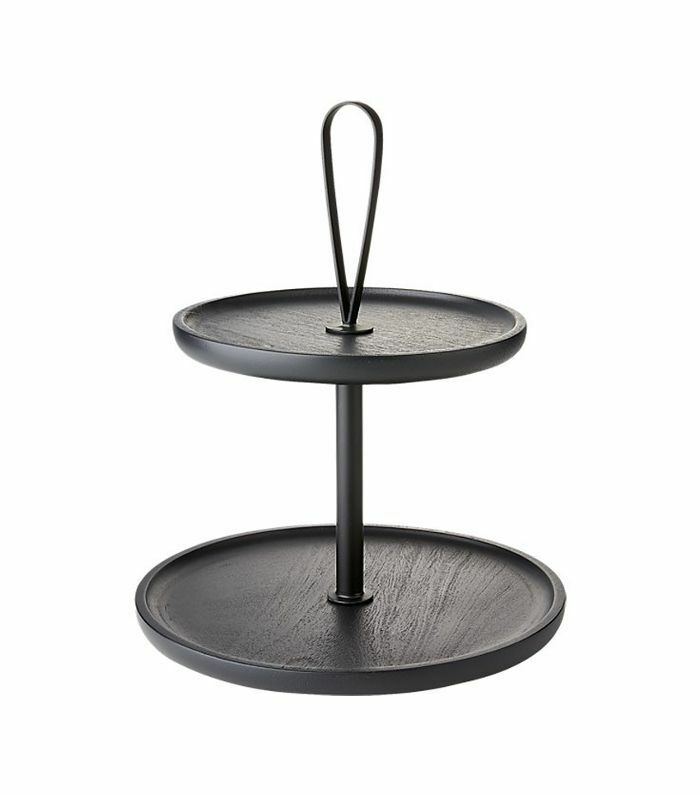 Display your desserts on this two-tier black tray to stay consistent. 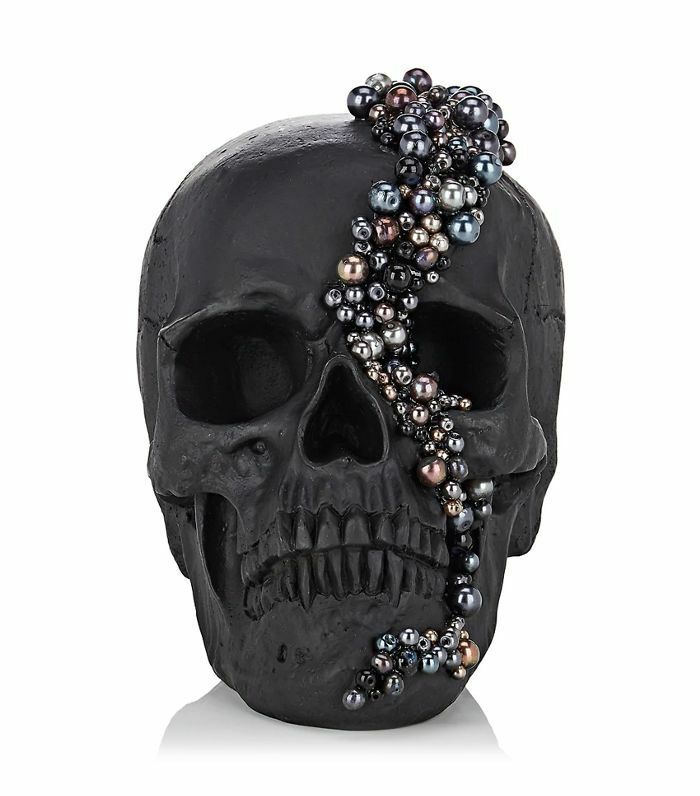 Use this skull motif paperweight to keep your napkins in place or prop open a door with it. 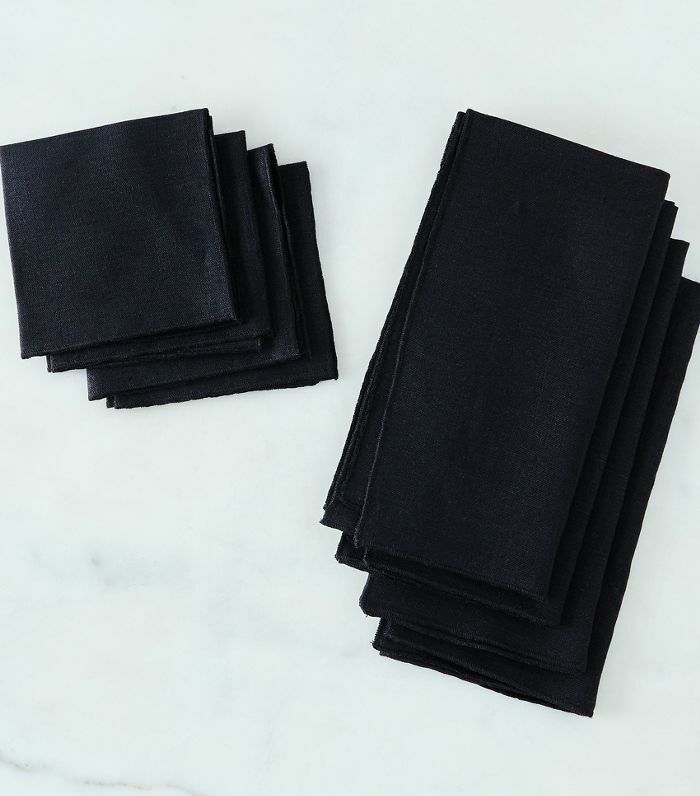 Swap your normal dinner napkins for a set in an inkier hue. 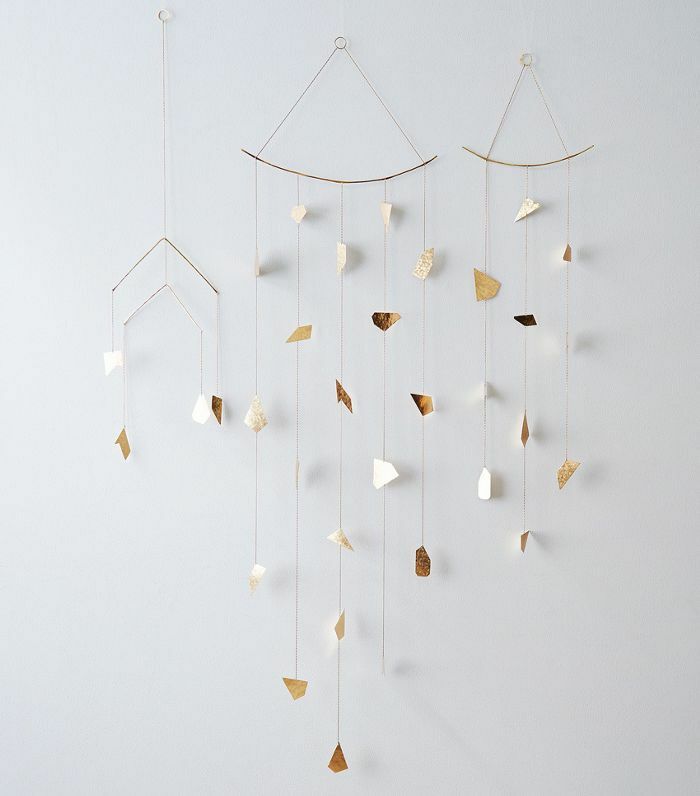 If you're having kids over, you'll probably want to hang up some fun decorations. These flying bats will do the trick. 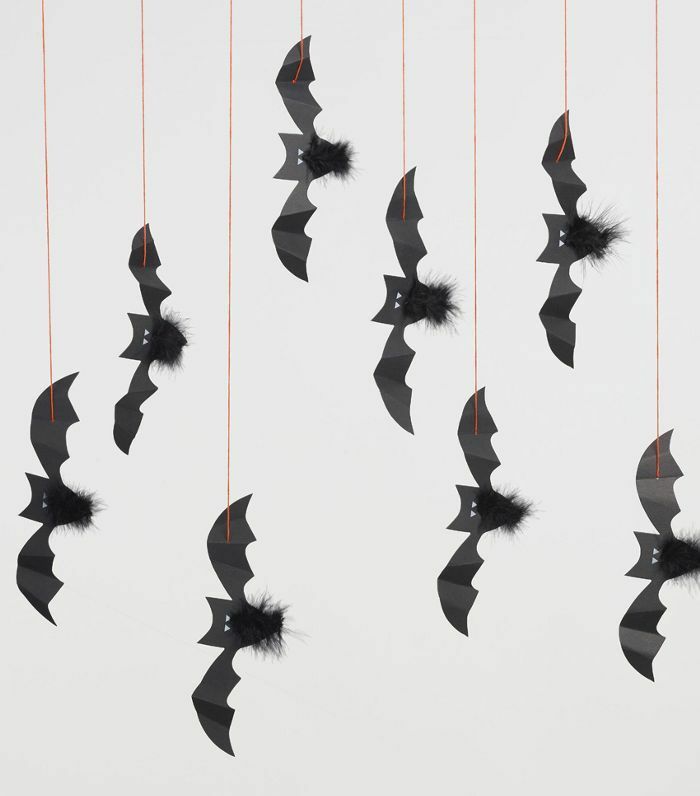 On the other hand, if you're keeping your bash adult-only, bring in some wall hangings without the Halloween tropes to strike a nice balance between stylish and festive. 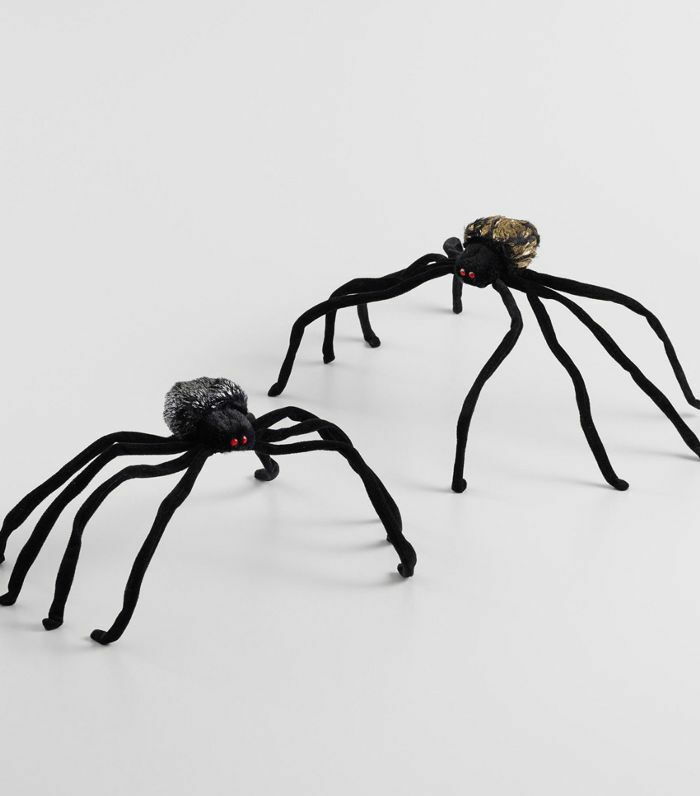 Scatter these cute little fabric spiders along the buffet table to conjure up the spirit of All Hallows' Eve. A sense of humor is always welcome—not everything about Halloween revolves around doom and gloom. 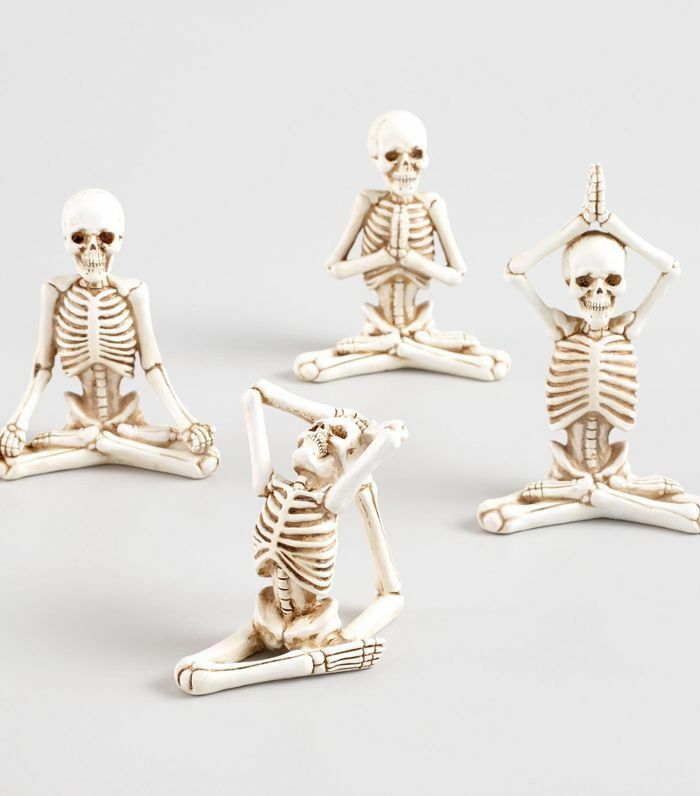 These skeleton yogis will lighten the mood. Speaking of a lighter mood, Halloween is all about dressing up and having fun. 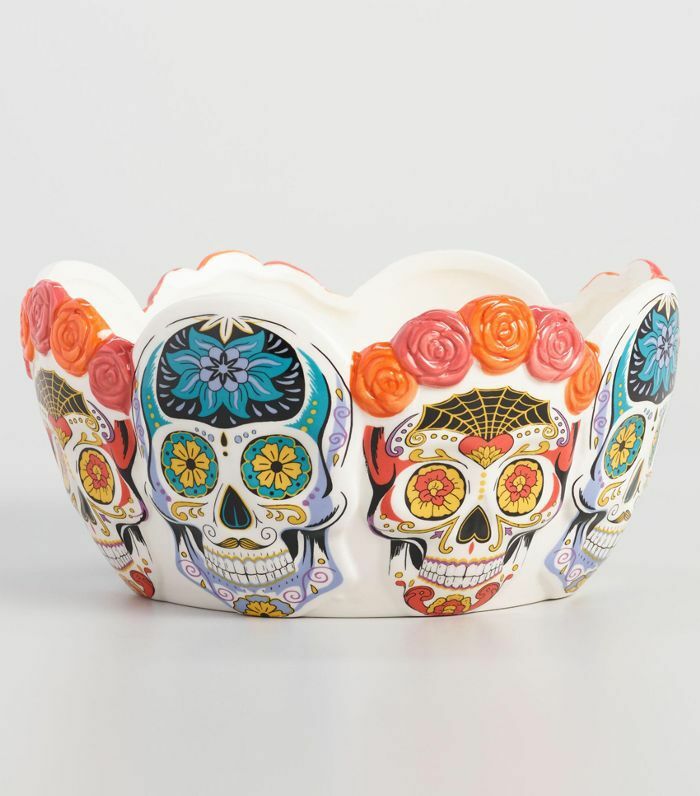 And if you observe Day of the Dead, a Mexican holiday that celebrates those who have passed on, this colorful bowl will capture that spirit perfectly. 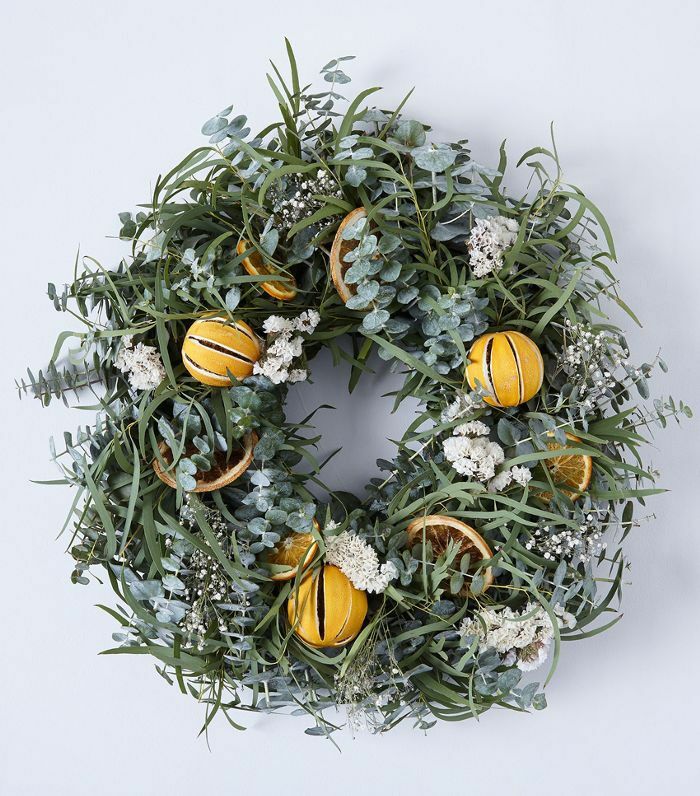 Show your wall some love with a lovely seasonal wreath like this citrus option. If you want to go all out, give your home haunted house vibes with spider web cotton décor. 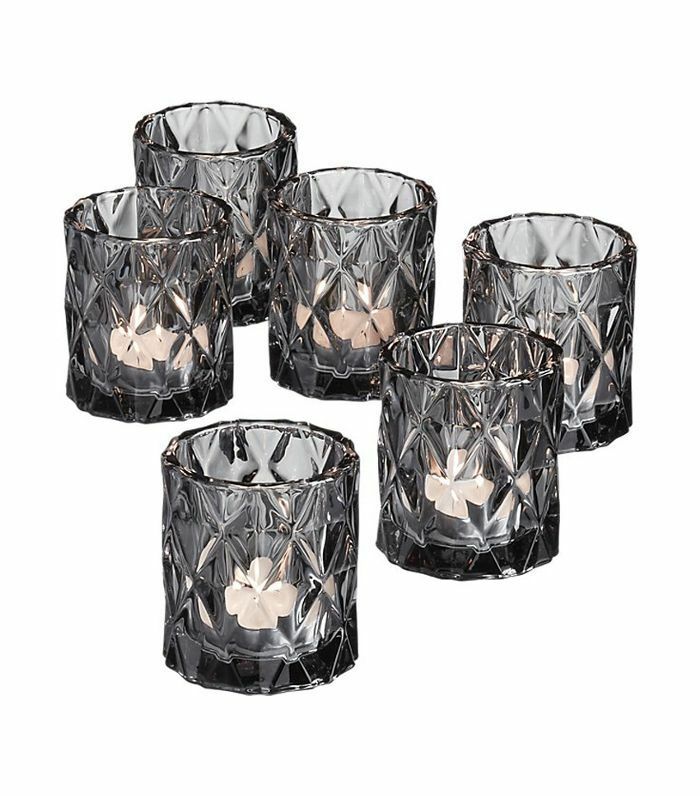 Scatter these tealight candleholders around your dining table to set the right mood. 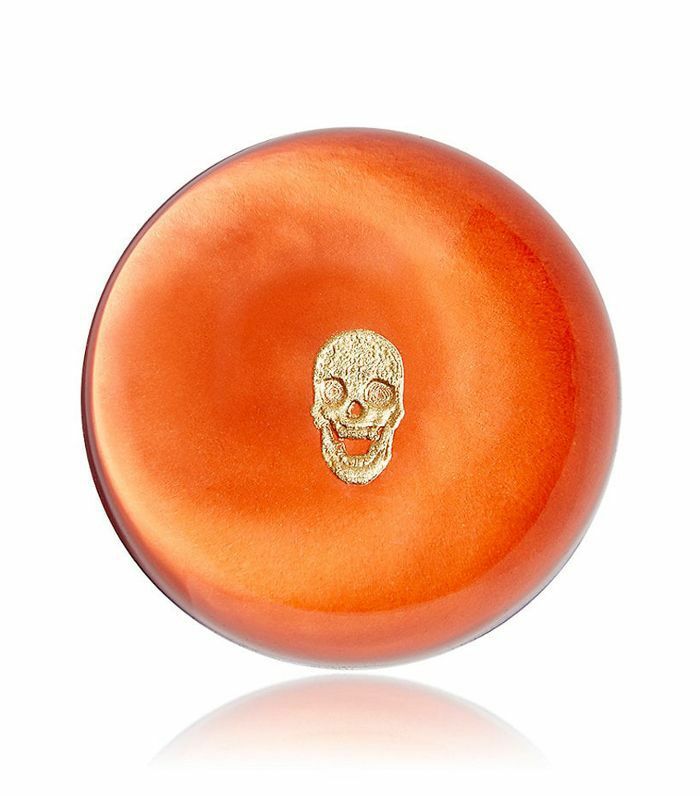 Whether you place them in a decorative cluster on the front steps, display them on the mantle, or set up a pumpkin-carving station, no Halloween party is complete without some pumpkin action. These white ones transform the classic motif into a chic design statement. Scattering some witch hats around will encourage your guests to have some fun and play dress up. 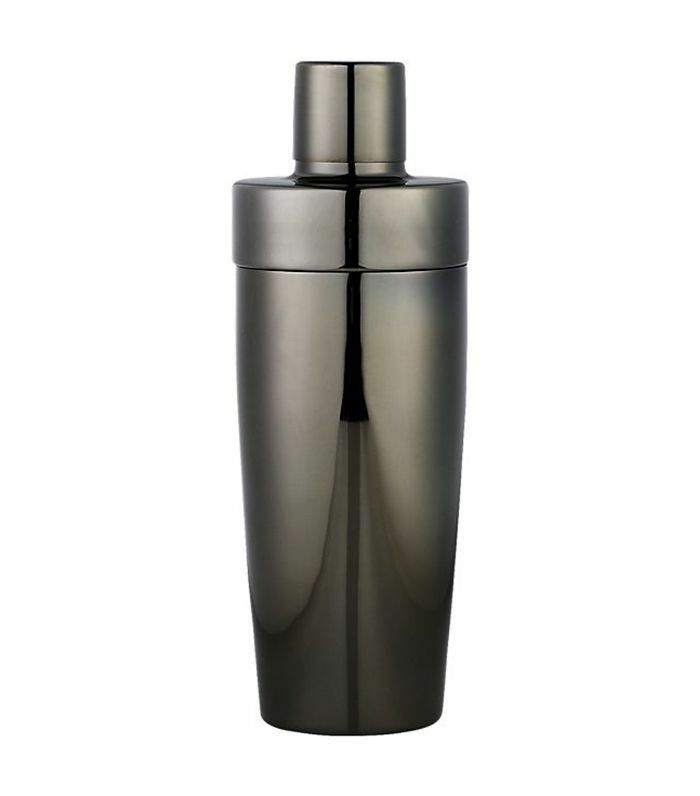 Make sure your drink station is stocked with sleek barware. Subscribe to our newsletter for more holiday decorating ideas and shopping guides.